Mastering Motivation - Motivation Techniques that work! Mastering motivation, as you have probably found is not possible by following the standard models taught on the subject. Maslow, Herzberg, McGregor, Vroom and many others offer models, models that don’t work in the real world. Yet we see across the globe and throughout time that there are and were leaders who can motivate in the real world (long before the ineffective models were thought of). The obvious question is, what are they doing, that those who slavishly follow ineffective models don’t do? How do the world’s most effective motivators get the consistently good results that they do? What does mastering motivation involve? What results would you achieve if you copied their methods? Would you expect to see staff performing at higher levels? Yes. Would you expect to perform better, yourself, because you better understood motivation? Yes. Would you expect to see more cooperation from those around you? Yes. All of those advantages and more, come to you IF you have the insights to motivation shared by the world’s most effective motivators. Where can you obtain the insights? You could spend years studying motivation, as we have done at PsyPerform, or you could harness the knowledge we have developed, in a tiny fraction of the time. 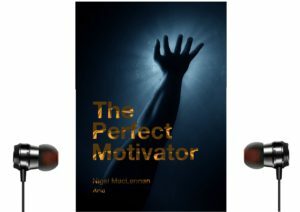 Mastering motivation is a standard part of your development programme, if you are a PsyPerform client. And if you want to explore PsyPerform materials with a view to securing massive improvements in performance you can get a sample by clicking the image below.